Exports are a crucial part of the British economy and a major portion of Xtrac’s annual turnover, with over 75% of our sales currently being exported, including a large proportion to Europe and the USA. Xtrac have become recognised as an important contributor to the country’s exports and our experiences within the export market have been sought with visits during 2016 by government minister the Rt Hon Sajid Javid MP, and shadow ministers Richard Burdon MP and Kevin Brennan MP. During the recent Autosport International show Mark Garnier MP, Parliamentary Under Secretary of State – Department for International Trade, visited our stand and met with Managing Director Adrian Moore. The Minister was particularly interested in successful exporters and his department is responsible for the TAP (Tradeshow Access Programme) programme which provides funding in the form of grants for eligible businesses to attend overseas trade shows, helping to boost overseas business. 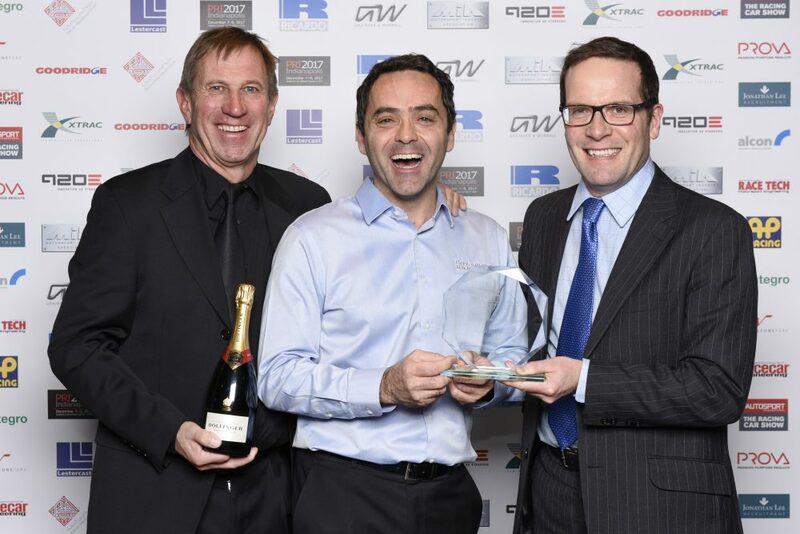 Garnier’s visit was followed by the Motorsport Industry Association’s Business Excellence Awards that evening which saw more than 500 guests from across the globe come together to recognise the achievements of the motorsport industry over the past 12 months. During the awards event, Xtrac secured the MIA Export Achievement Award – Sponsored by Performance Racing Industry (PRI) & presented by Francisque Savinien, Director of Global Sales and Marketing. 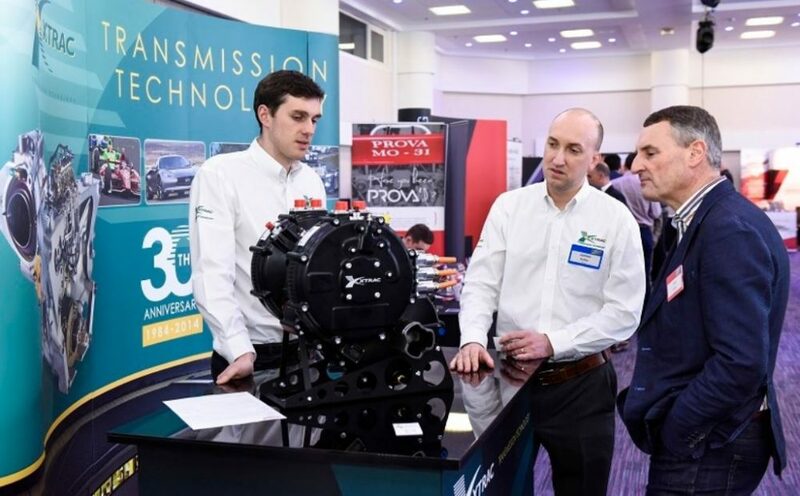 The Autosport show has become an important part of Xtrac’s events calendar, not only does it allow us to display our latest technologies and meet with global customers and prospects but also allows us to become involved with the various conferences and workshops which run in parallel to the show. 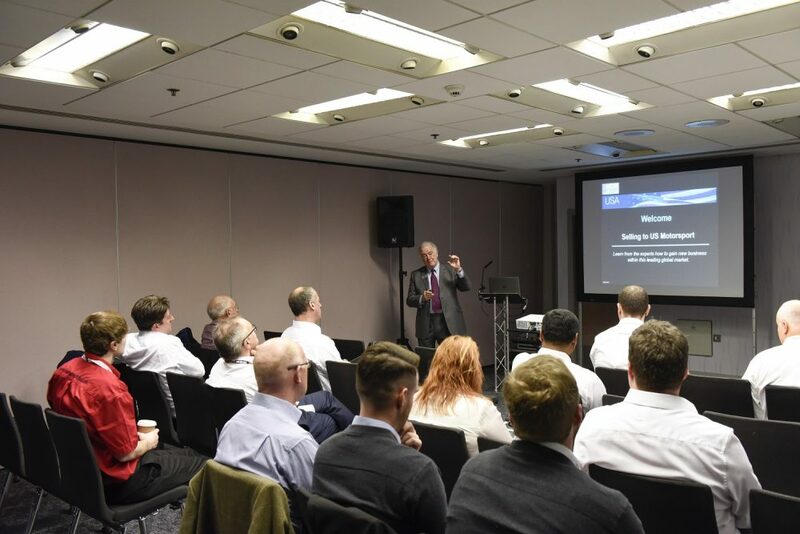 Adrian Moore chaired the ‘Motorsport to Automotive Workshop’ on Thursday morning which followed the ‘Selling to US Motorsport’ workshop in which Cliff Hawkins; Xtrac’s Development Director was a panellist. Many of the gearboxes and differentials which have been exported by Xtrac over the past year will be in action during the month of January. The Dakar rally ran from the 2nd to 14th January in South America with great reliability for Xtrac customers, with other major events for Xtrac customers including the World Rally Championship Rallye Monte-Carlo from 18th to 22nd January and the IMSA WeatherTech Sportscar Championship Rolex 24 Hours at Daytona on 28th to 29th January where Xtrac will have a full support team in attendance from our base in Indianapolis, IN, USA. Peter Digby & Adrian Moore Collect Export Excellence Award. 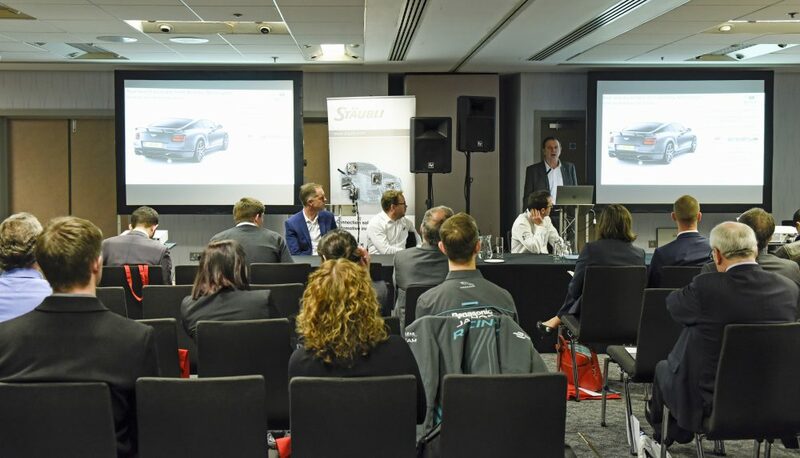 Adrian Moore Chairing the ‘Motorsport to Automotive’ Workshop. MIA Chairman Chris Aylett opens the ‘Selling to US Motorsport’ Workshop. James Setter and George Laughton Displaying the P1227 ILEV.